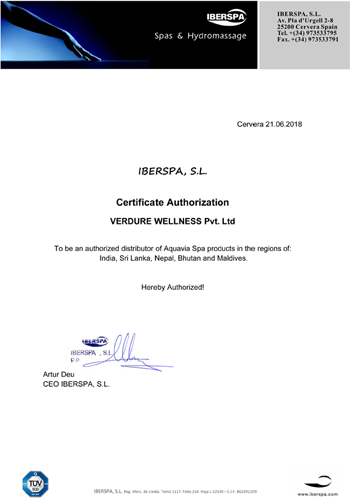 Designed and Manufactured in Barcelona, continuous innovation and the absolute guarantee of quality are three of the main cornerstones associated with Aquavia Spa brand with 30 years of success behind it, during which it has remained committed to in-house manufacturing based on the premise of total quality and the central importance of its customers. At Aquavia Spa the team conceptualise, design, produce and market hot tubs for private and public use, for any kind or frequency of use, but always geared towards exclusivity and maximising performance. The brand has become an international leader thanks to the culture of innovation that it has established and due to its professional team with a proven track record. PowerMax, is a world-recognized brand of gym-equipment trusted by gyms, fitness-centres, health-centres and fitness-freaks across the globe. Brought to you by PowerMax Fitness (India) Private Limited, PowerMax has become a reputed health-brand here in India also. PowerMax comes to you with international quality that an American brand would never compromise on.